Platform Communications consistently provides a full suite of services to BHP Billiton and its divisions. Platform has worked alongside BHP Billiton for many years and continues to provide them with high quality, brand compliant work that exceeds expectations. 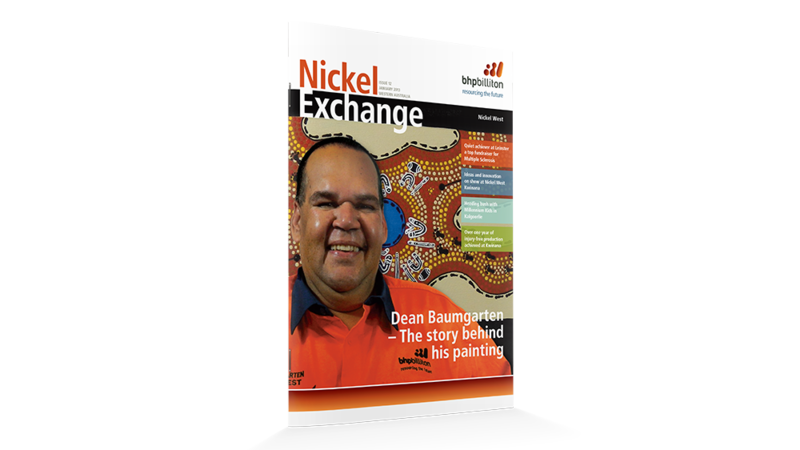 Platform provides ongoing copywriting, design and project management services all year round to BHP Billiton’s Nickel West division for their quarterly newsletter, the Nickel Exchange. Platform also provides Nickel West with a range of other services such as event management, booth creation, internal communications and providing brand compliant marketing collateral. 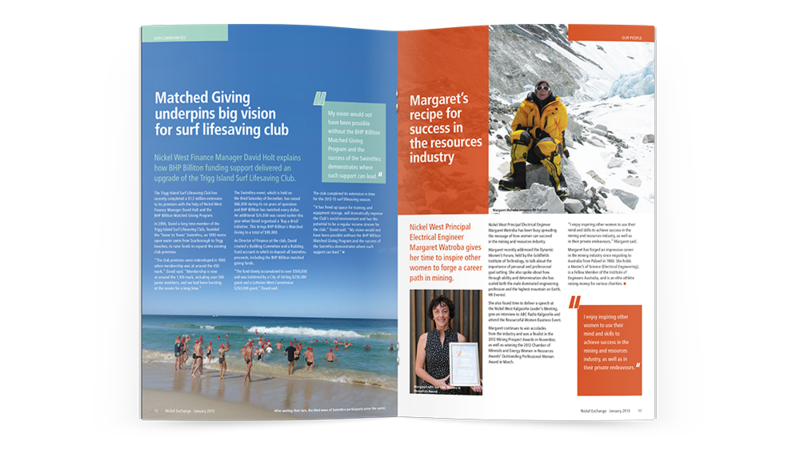 Most recently, Platform had worked together with BHP Nickel West to design and produce a range of ‘conversation cards’, ‘culture banners’ and ‘culture case studies’ that communicate to staff and generate conversations about BHP Billiton’s internal work culture, values and code of business conduct. Platform also sourced a talented illustrator who provided humorous and appropriate illustrations for the internal communications collateral.